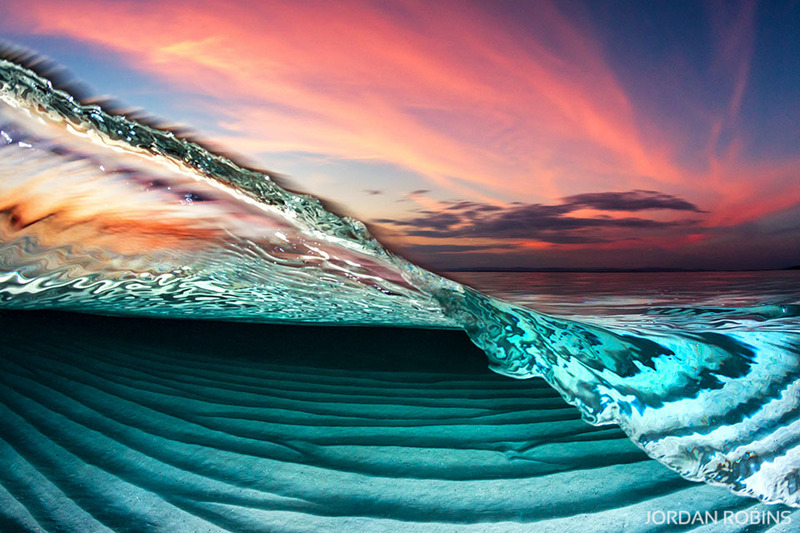 A unique collection of 'over under' images, a style of underwater photography where you can see above and below the water, captured in a single exposure. An underwater flash is used to reveal what lies beneath the waters surface. 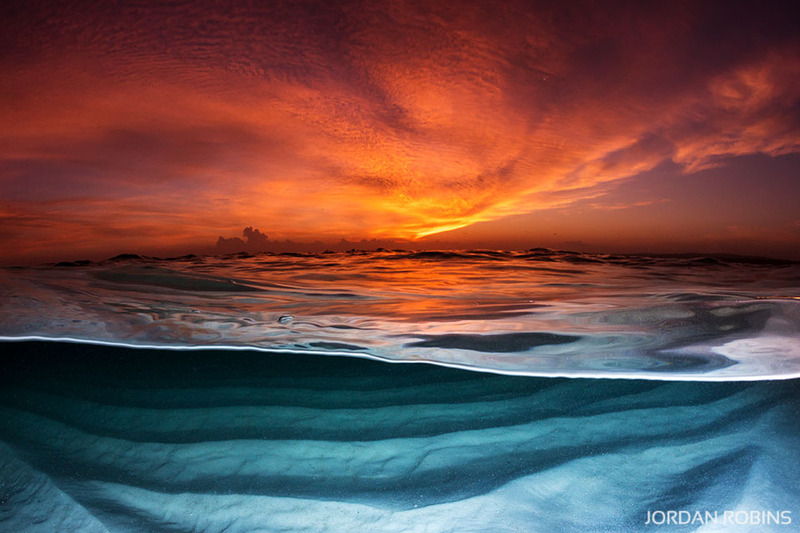 In this ocean art series, Jordan likes to shoot on sunrise or sunset, capturing atmospheric skies paired with the patterns and textures of sand formations beneath the waters surface. 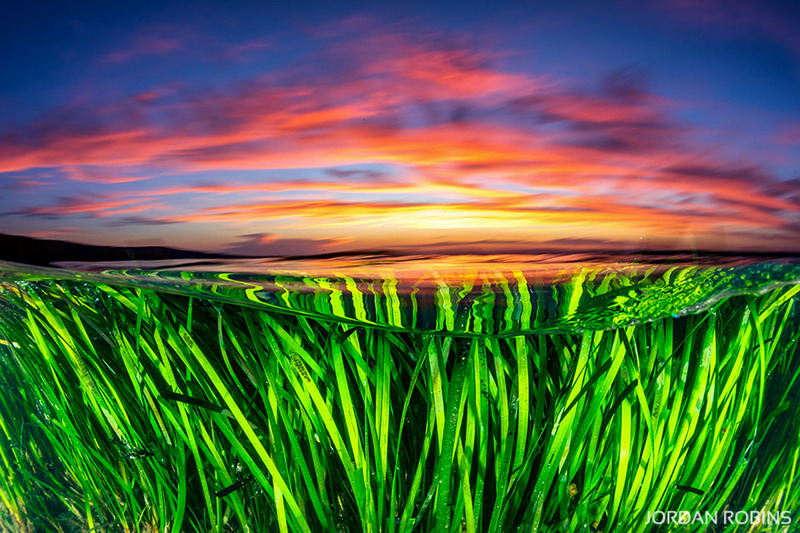 An ‘over under photo’ of a vidid sunset as the sun sets over the seagrass beds in Jervis Bay. 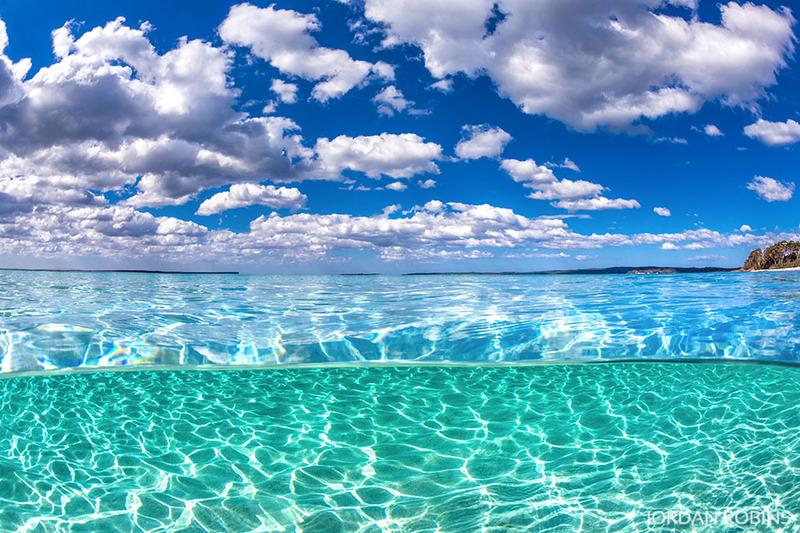 Rays of sunlight dancing through the crystal clear aqua blue water at Hyams Beach, Jervis Bay. 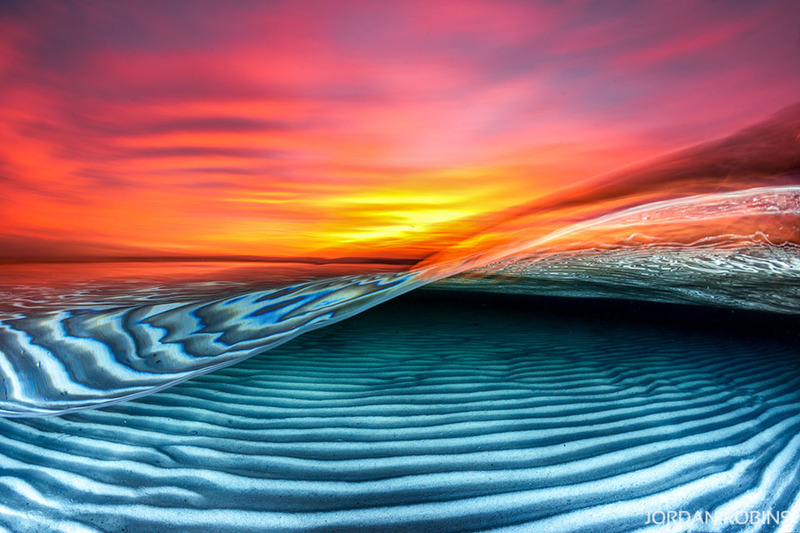 An ‘over under’ photo of a vivid sunset as the sun sets over the shallow sand flats in Jervis Bay. 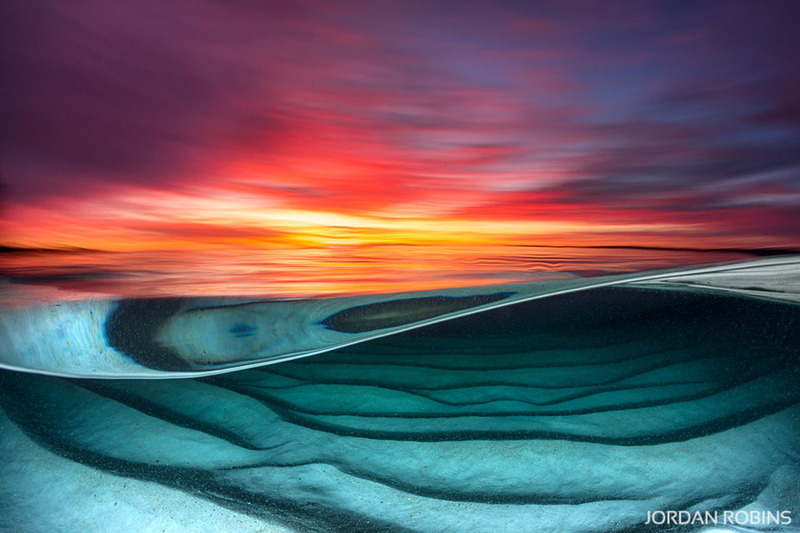 An over under image of a vivid sunrise captured in the water at Hyams Beach, Jervis Bay. 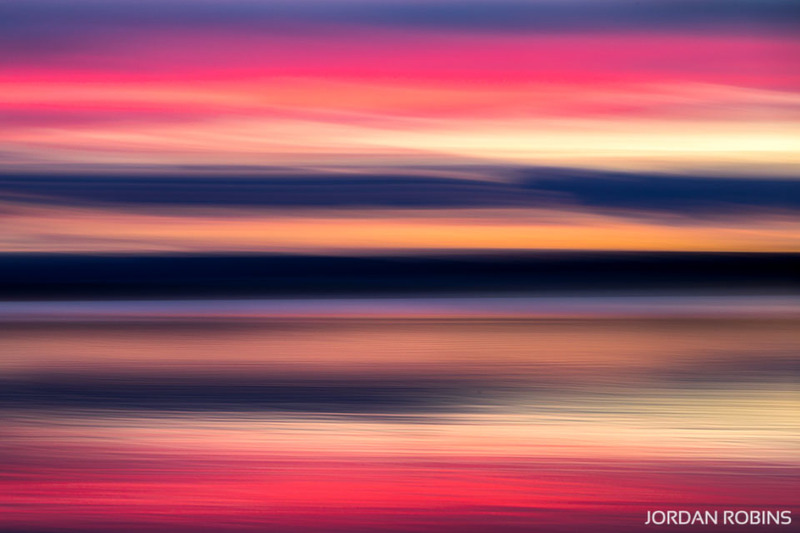 Slow shutter sunset captured as the sun sets over Jervis Bay, Australia. Fire burning in the sky as the sun rises over Jervis Bay. Crystal clear water, bright white sand and deep blue skies at Chinamans Beach on a perfect day, Jervis Bay. 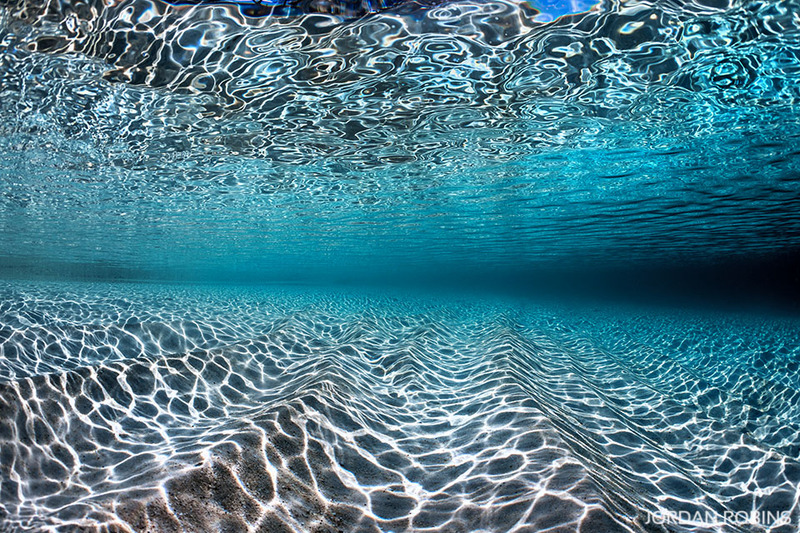 Parallel lines of sand in in the crystal clear blue water as the sky bursts to life with colour from the rising sun. 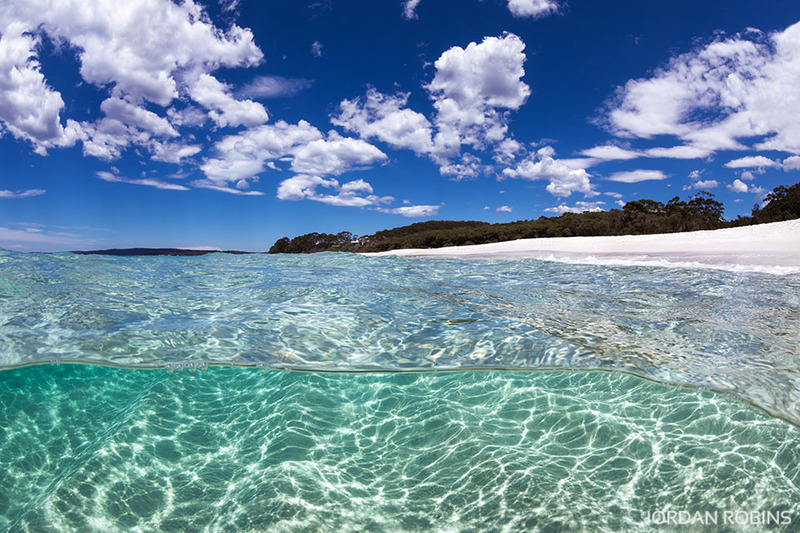 Crystal clear water and bright white sand at Hyams Beach. 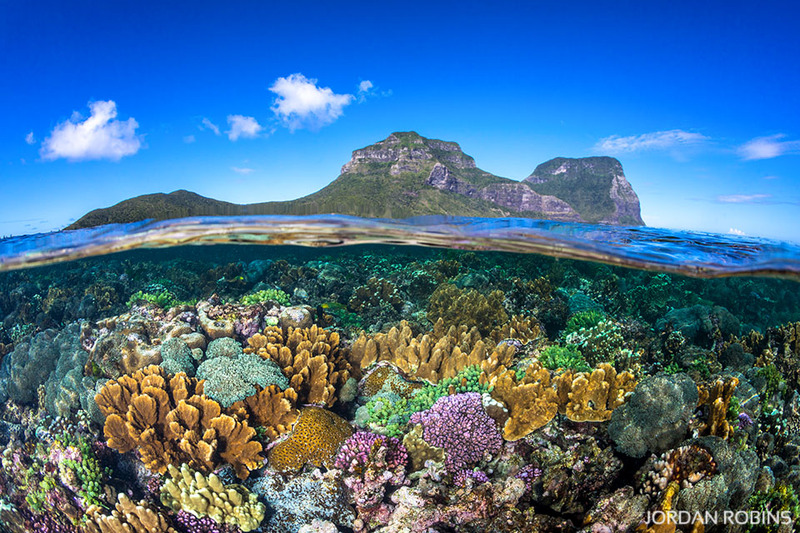 The vibrant and healthy coral gardens in the crystal clear water below Mount Lidgbird and Mount Gower on Lord Howe Island. 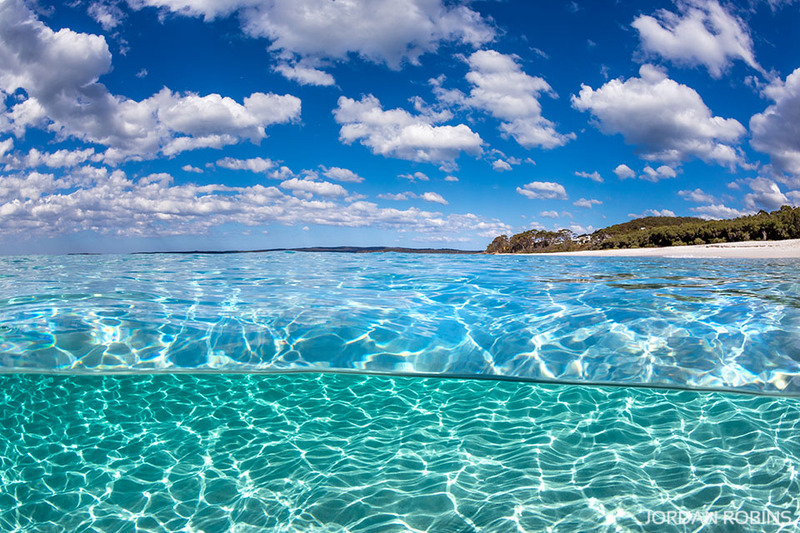 An ‘over under’ photo captured in the water at Chinamans Beach, Jervis Bay on a beautiful sunny summers day.